Since Obama was sworn into office, MSNBC has regularly pulled the race card as a way of forcing polarity into any political discussion where the White House might be criticized. From a journalist perspective, this is more than just bending the rules, it’s going all in for inciting the audience. ‘Hardball’ host Chris Matthews said on air this week that gun rights activists “don’t accept an African-American president”. Here we get a clear view, along with the stench of that toilet bowl we mentioned earlier. MSNBC is now staffed top to bottom with most of Bill Clinton and Barack Obama’s top advisors including George Stephanopoulos, David Axelrod and Robert Gibbs. It’s job is to protect and promote the White House’s agenda(s). Either with Martin Bashir, Rachel Maddow, the Reverend Al Sharpton (pundits are still wondering why he was given his own show on a national network), or channel’s highest paid non-talent, Chris Matthews, or other minor players like Krystal Ball and Melissa Harris-Perry – everyone marches to the beat of the Democratic Party’s social engineers. 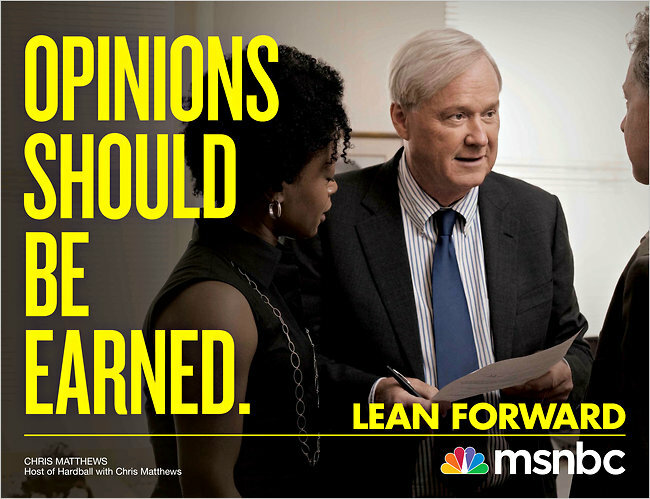 The MSNBC prodigal son has once again come “forward” to display the vitriol that has become the standard of journalism for US state-run television.